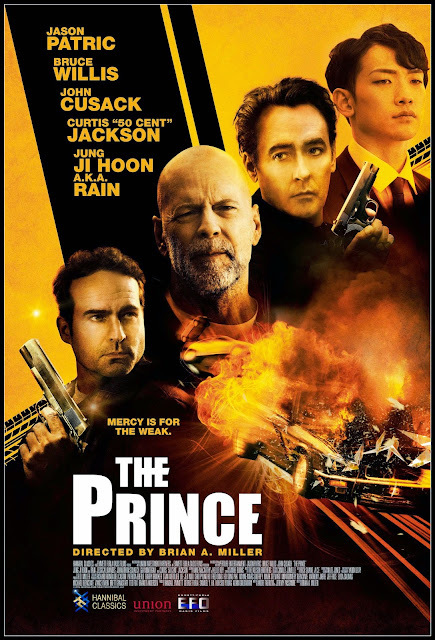 Axinite Digicinema brings the high-octane non-stop actioner “The Prince” in local cinemas starring Bruce Willis, Rain, Jason Patric and John Cusack in an unrelenting action film that forces a retired crime boss back into the seedy underworld he’d left behind. Directed by Brian A. Miller, known for his film-noir and cutting edge work in the action thrillers “Officer Down” and “The Outsider,” “The Prince” brings the audience in the gritty underworld of revenge-seeking gangsters. The movie finds Paul Brennan (Patric) twenty years after his retirement, a retired New Orleans crime boss, has lived a quiet life off the grid, running an auto repair garage in remote Mississippi. When his teenage daughter goes missing, Paul is forced to return to the city and face his former enemies. With the help of his daughter’s friend Angela (Jessica Lowndes), Paul comes face to face with Omar (Willis), the city’s most powerful man whose family he mistakenly took out, in an explosive final standoff that may offer redemption for Paul’s past mistakes.